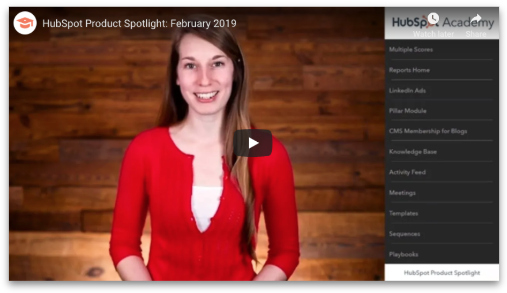 February may have been the shortest month of the year, but there was no shortage of newly certified integrations. 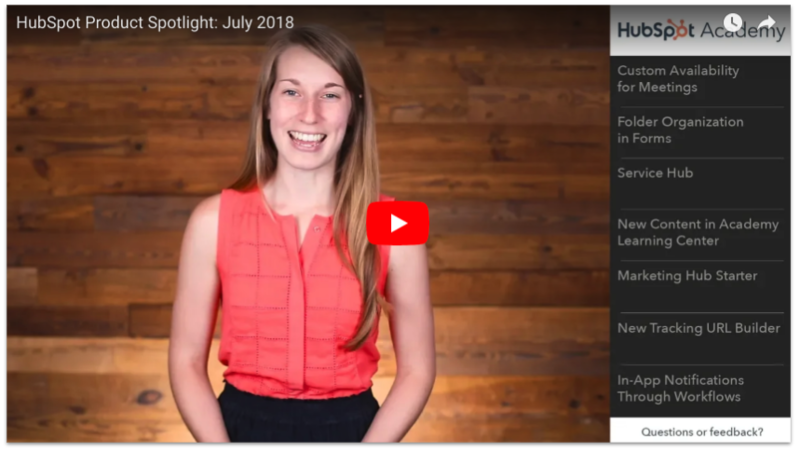 Take a few minutes to read about all of the ways you can use these new integrations to personalize your HubSpot experience. New year means new integrations. 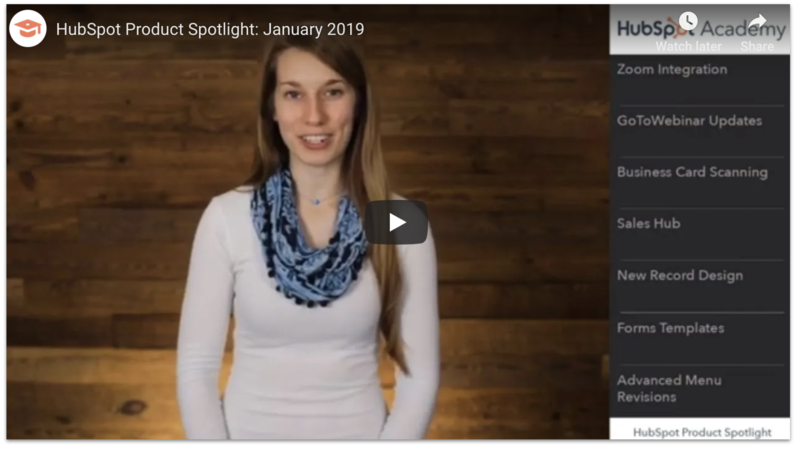 Take a break from your Q1 planning and read about all of the ways you can use January’s new integrations to personalize your HubSpot experience. 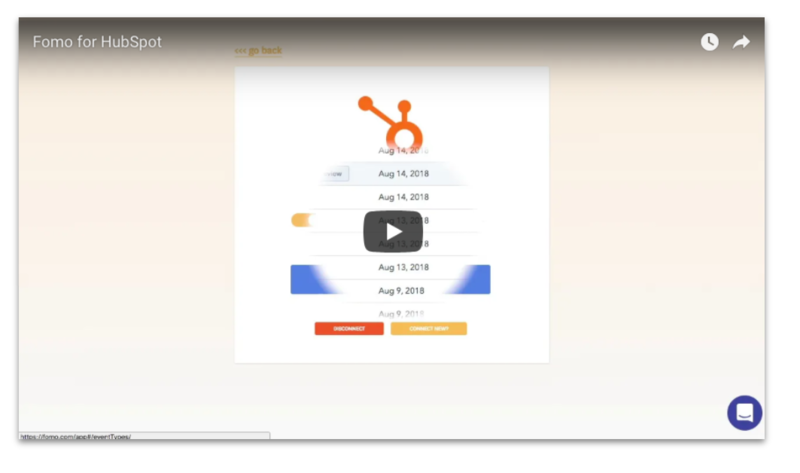 Now Live, Zoom for HubSpot brings video meetings into the CRM and Meetings Tool. 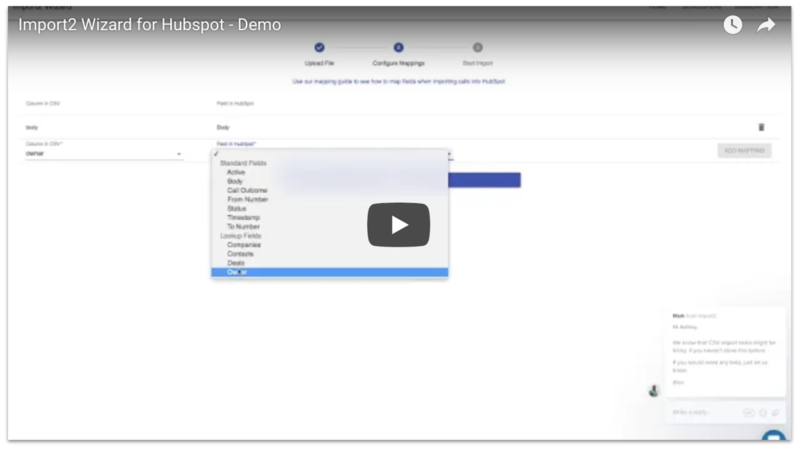 You can now add a Zoom video meeting link as the default option for any meeting you schedule with the HubSpot meetings tool and select Zoom as the conference option when scheduling a meeting with a contact in the HubSpot CRM. 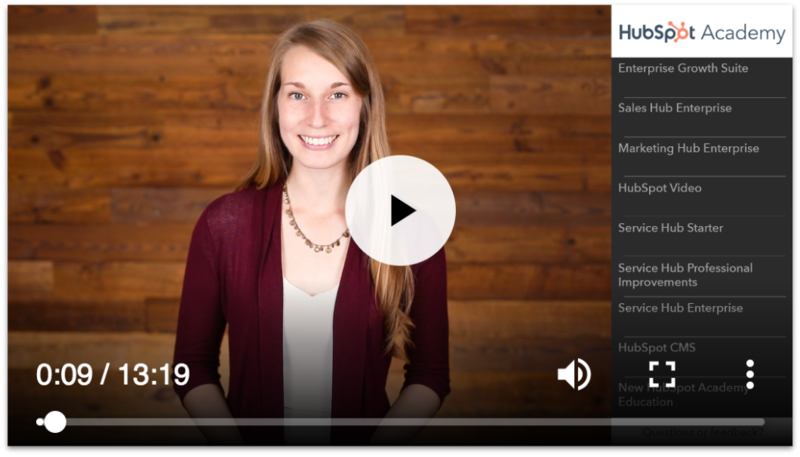 If you already have Zoom (it's great video communication and meeting software (that starts free) click here to connect it to your instance of HubSpot. For help with the integration consult this page. 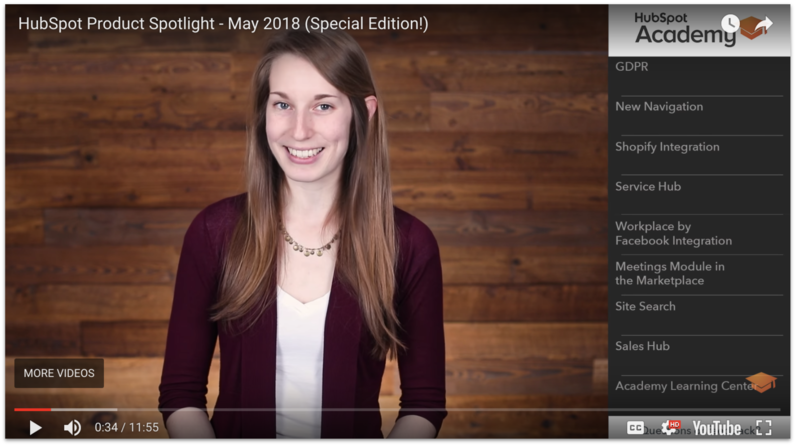 Keep reading to learn why we're excited to help you do more/better video meetings. Webinars are one of the most successful inbound marketing tactics at creating high value leads. The format, when done well, provides a ton of value to your audience, and gives you a great signal that the attendees might make good customers. 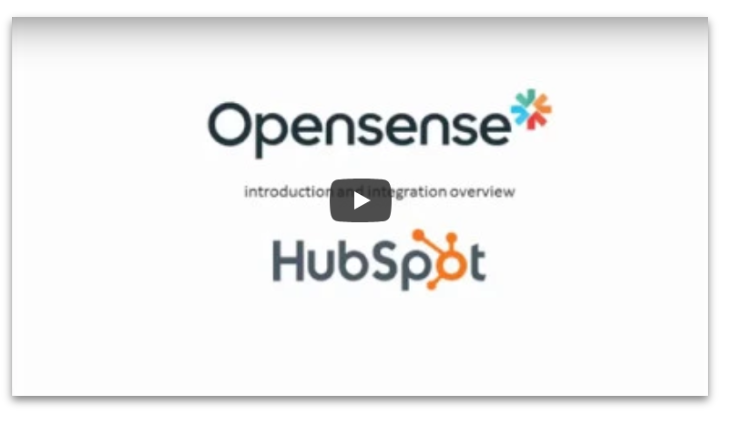 To date, GoToWebinar has been the most used HubSpot webinar integration. It's also one of our oldest and was in need of a few updates. 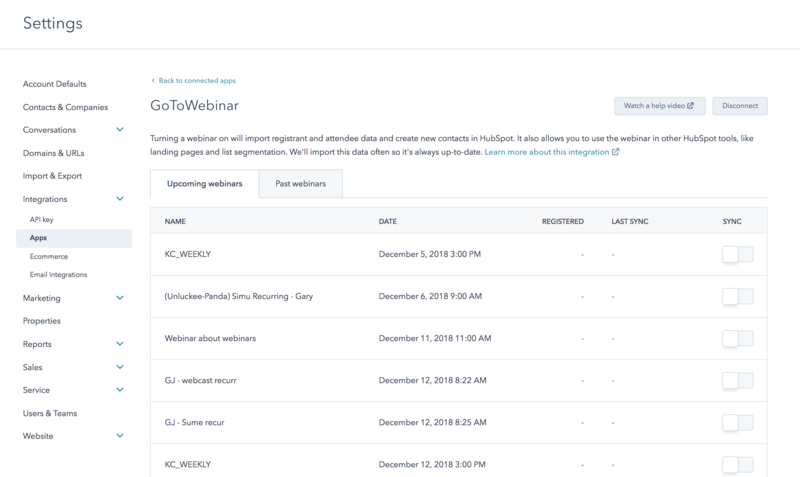 Today's update gives users the ability to sync and use Simulated Live and On-Demand data just like it works for regular webinars. We’ve also added more syncing of GoToWebinar fields with HubSpot that now can be seen on a contact record. No action is needed to update, these new features have been pushed live to your existing GoToWebinar integration. 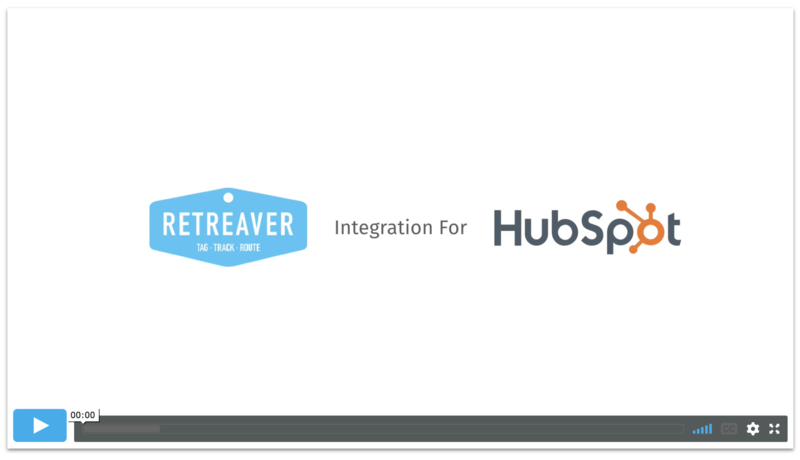 View all your HubSpot integrations by clicking here. 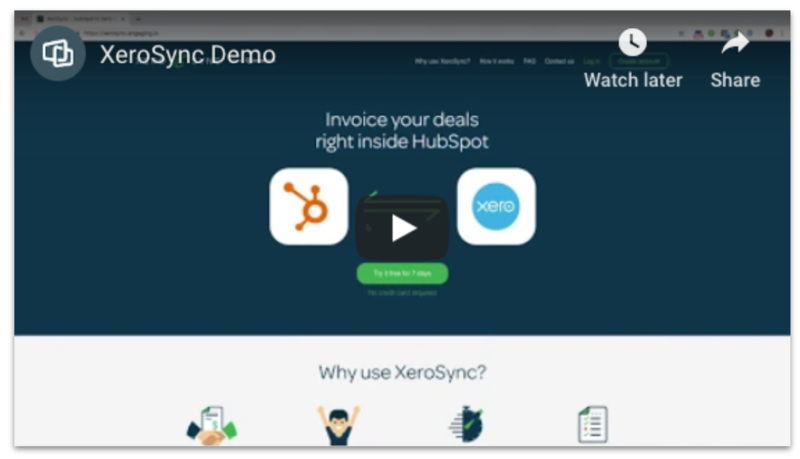 Take a moment to step back and check out all these incredible new integrations within HubSpot Connect, including: XeroSync, LeadGnome, Data2CRM, and PrompterAI. 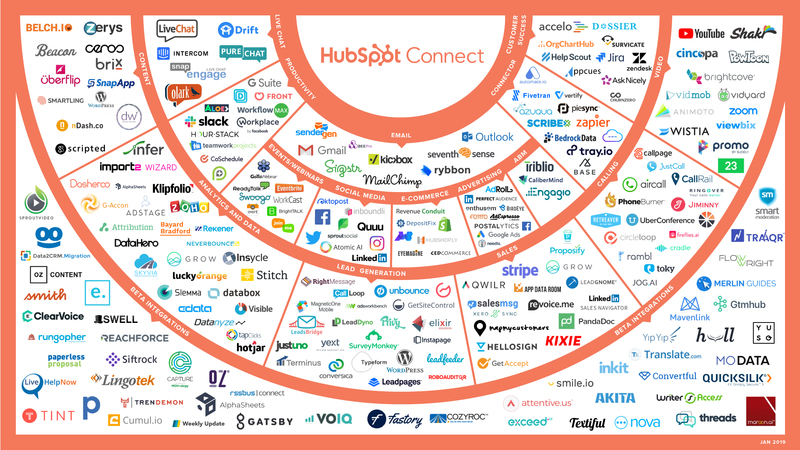 Take a moment to step back and check out all these incredible new integrations within HubSpot Connect, including: Swoogo, atEvent, WorkCast, BrightTALK, and TwentyThree. 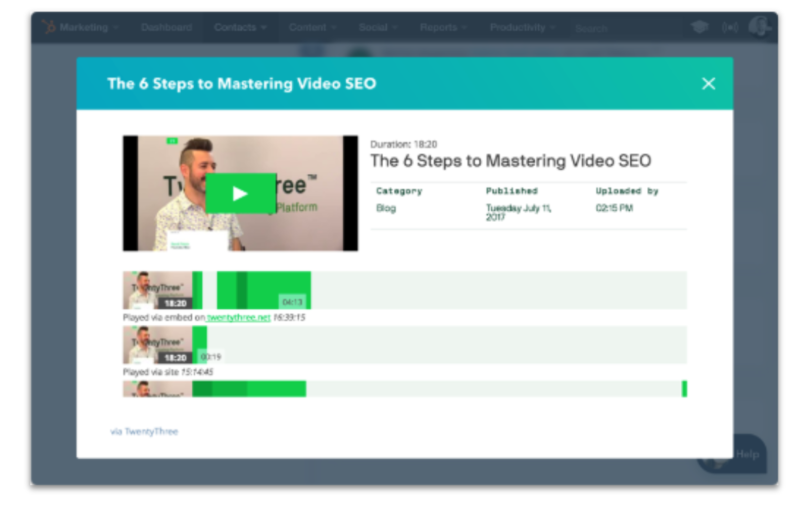 TwentyThree is video marketing software that offers hosting, publishing, editing, and video analytics tools. 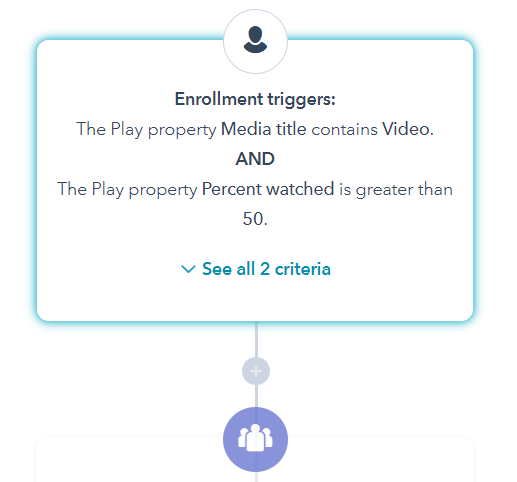 This update is related their newest webinar product and the new HubSpot integration they’ve built to support it. 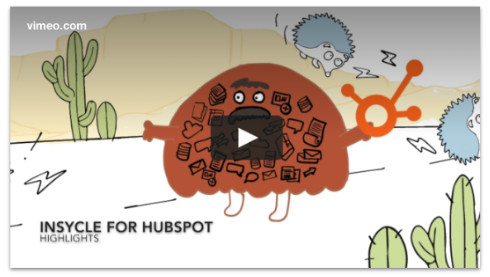 INBOUND is the most exciting time of the year here at HubSpot. It’s when thousands upon thousands of people join us in Boston to hear inspiring and transformative keynotes from folks like Deepak Chopra, Shonda Rhimes, Chimamanda Ngozi Adichie, and more. 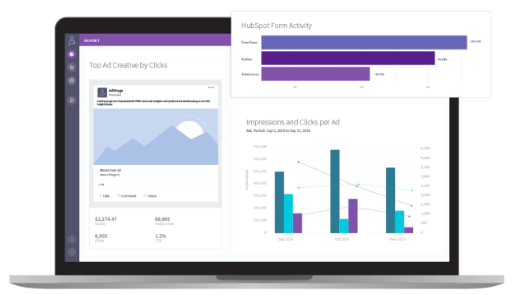 INBOUND also marks peak product launch season at HubSpot. In this video, we’ll run you through it all in less time than a coffee break. Fomo is a product that enables you to show customer interactions - purchases, opt-ins, and more - with one line of code. 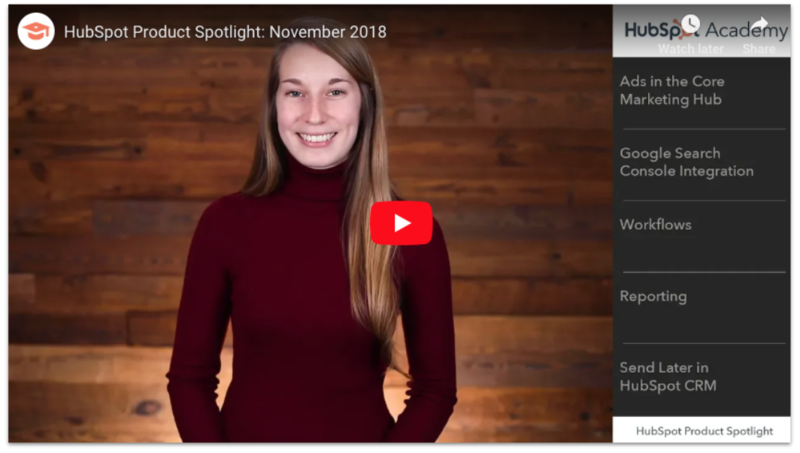 Oktopost is a social media management and employee advocacy platform for B2B companies that aims to build meaningful conversations with leads through highly-personalized marketing campaigns. Conversica provides an AI-based sales assistant that engages new prospects in order to increase sales and marketing efficiency. 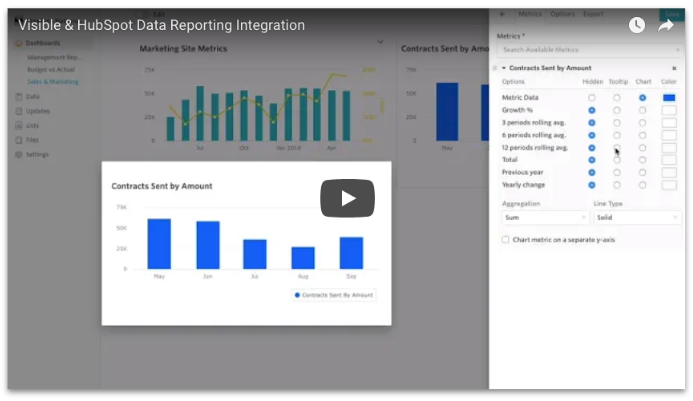 CData is a product that enables a seamless integration between your HubSpot data and popular business intelligence, reporting, and ETL tools. 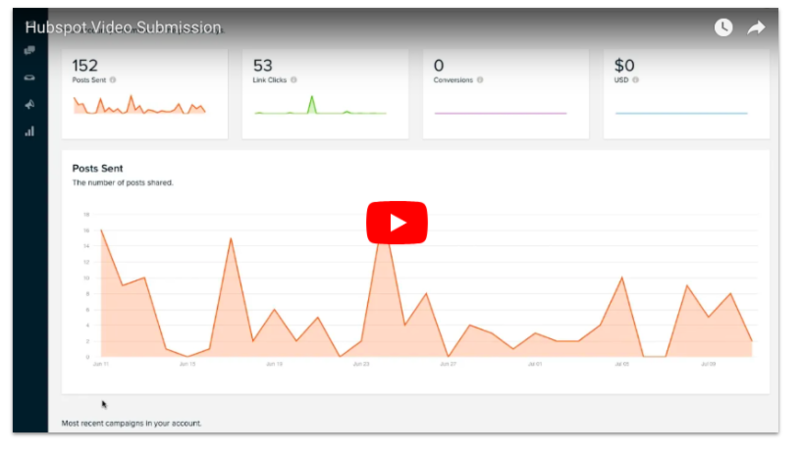 G-Accon is a product that enables you to easily pull your HubSpot data into Google Sheets to view live data, automate reports, import data, and refresh with one click. 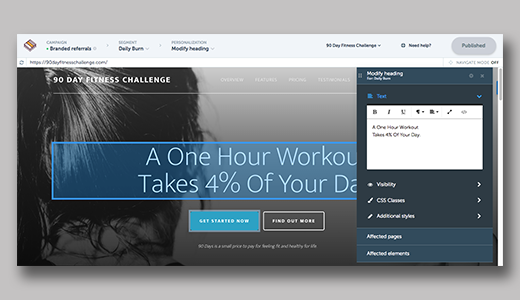 RightMessage uses the information you have stored from your subscribers to change your website content and calls-to-action for a more personal experience. 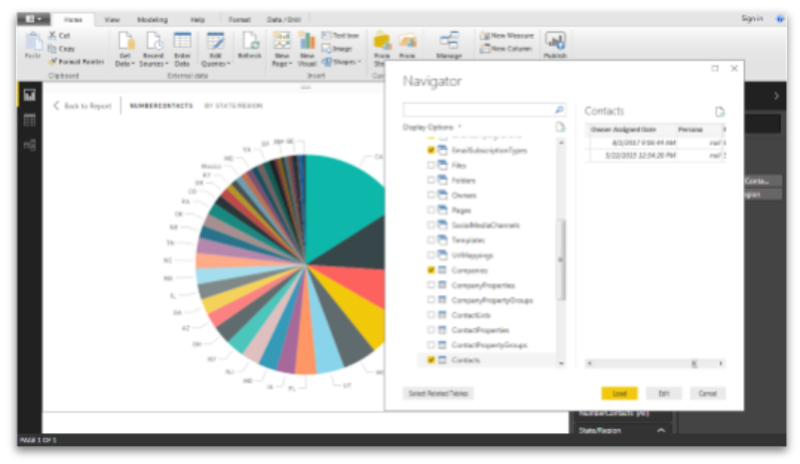 Import2 Wizard is a product that enables you to import and export HubSpot objects such as contacts, companies, deals, tickets, and more. Cincopa offers hosting for your videos, photo galleries, slideshows, music players, podcasts, and more. Inscycle is a product that cleans, organizes, and updates data. Intercom offers a suite of messaging-first products. 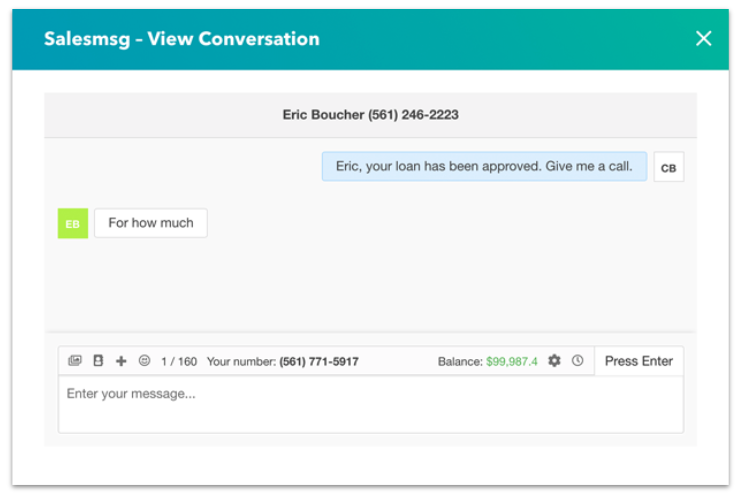 This includes a web and in-app chat feature (Messages), a shared team inbox (Inbox), and a knowledge base solution (Articles). 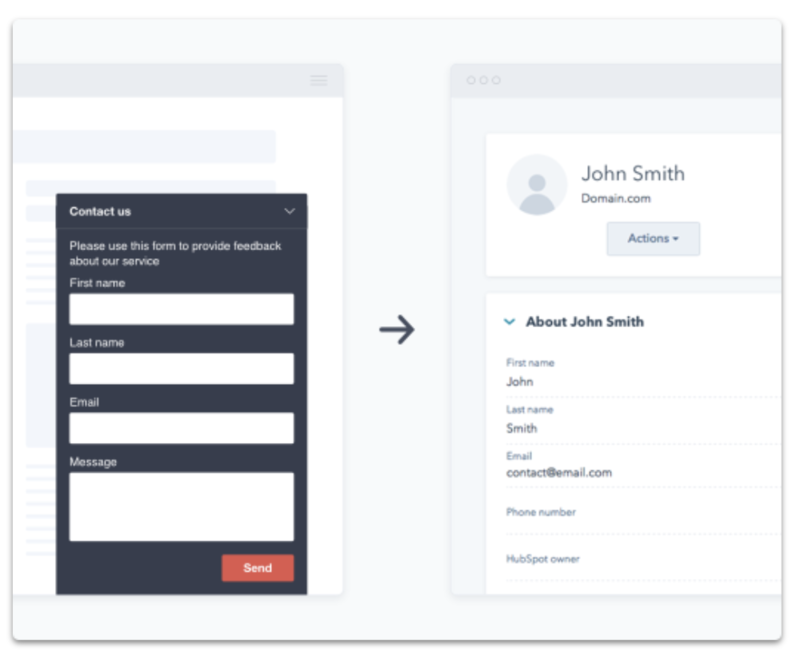 GetSiteControl is a product that enables you to create custom contact forms, online surveys and opt-in forms connected directly to your HubSpot CRM. 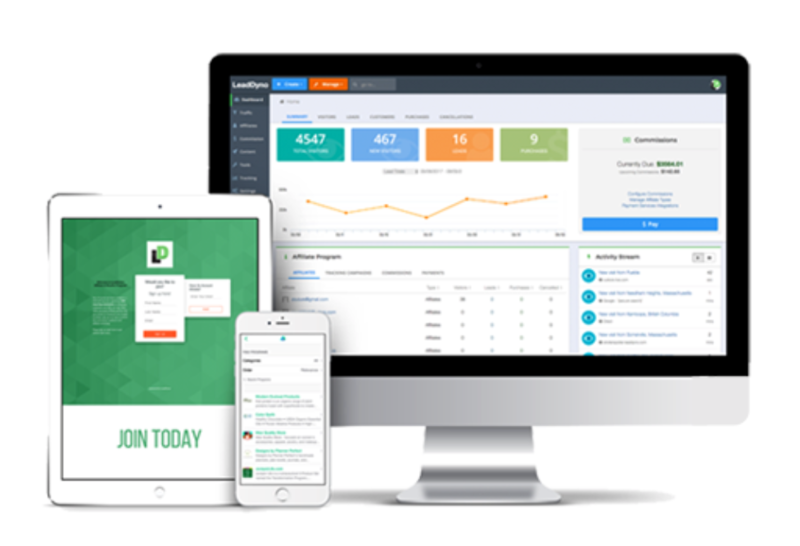 LeadDyno is a product that enables you to recruit marketing affiliates and leads - then import their contacts into your HubSpot CRM. 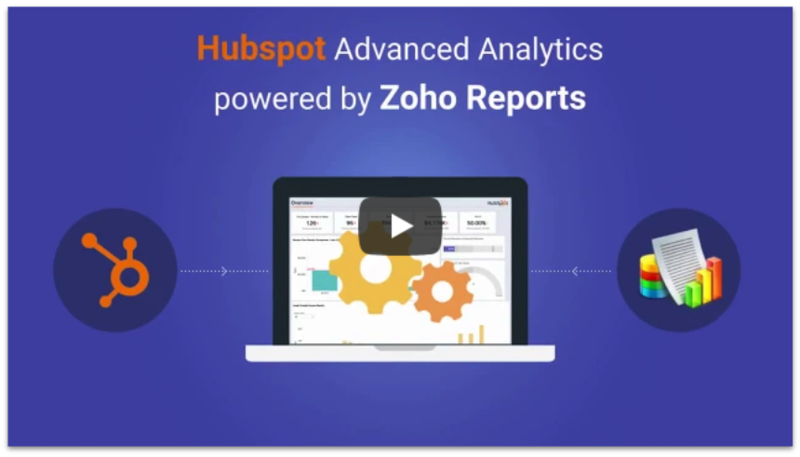 Visible is a product that enables you to gather and visualize your HubSpot data alongside other data sources in reports for quick and comprehensive data insights. 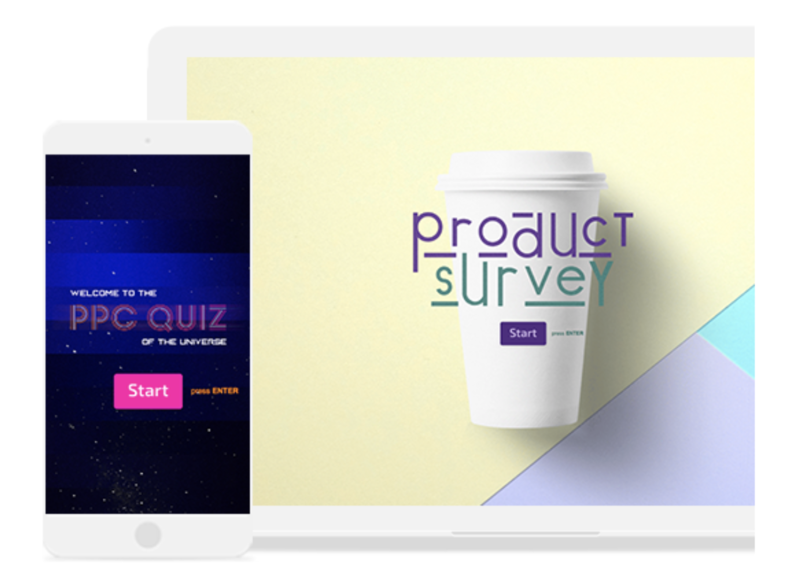 Typeform is a product that enables you to create mobile-ready quizzes, contact forms, and signup forms that automatically sync with your HubSpot CRM. 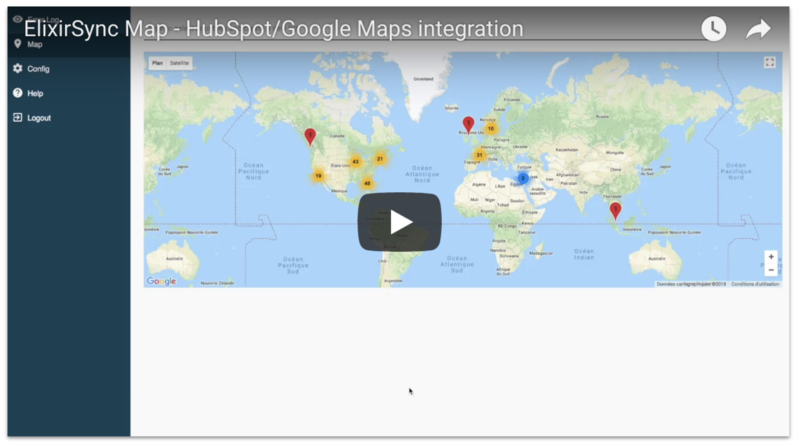 Elixir is a product that enables you to visualize the locations of your HubSpot CRM contacts using Google Maps. 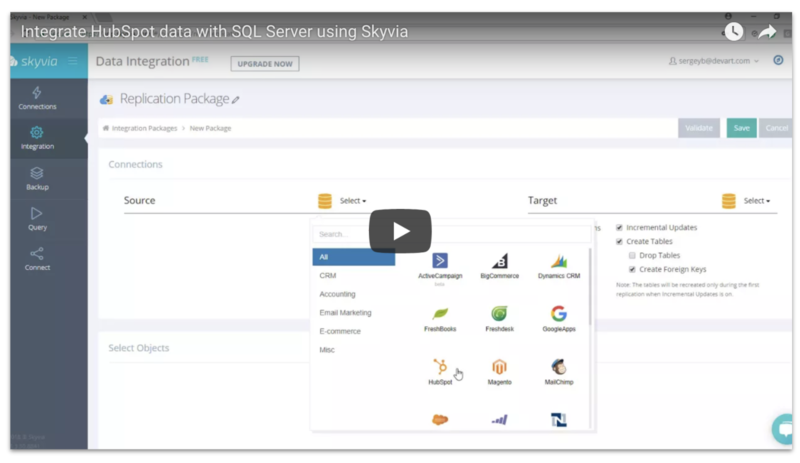 Skyvia is a product that enables you to integrate, backup and manage HubSpot data without any need for coding. 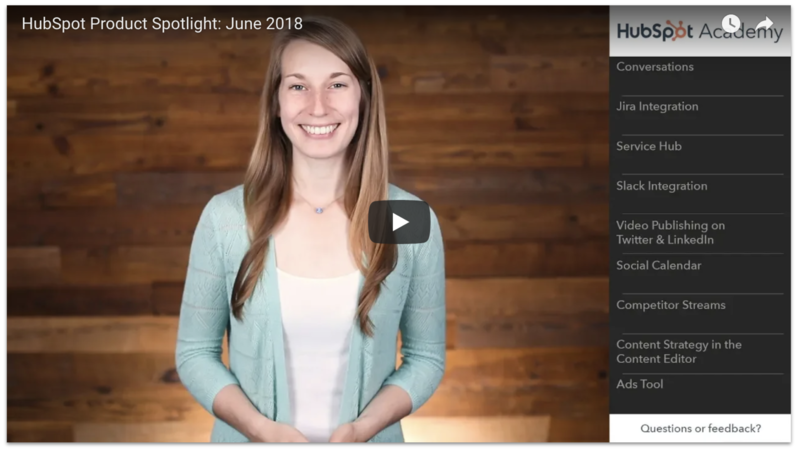 Slack is a digital workplace that connects you to the people and tools you work with everyday. 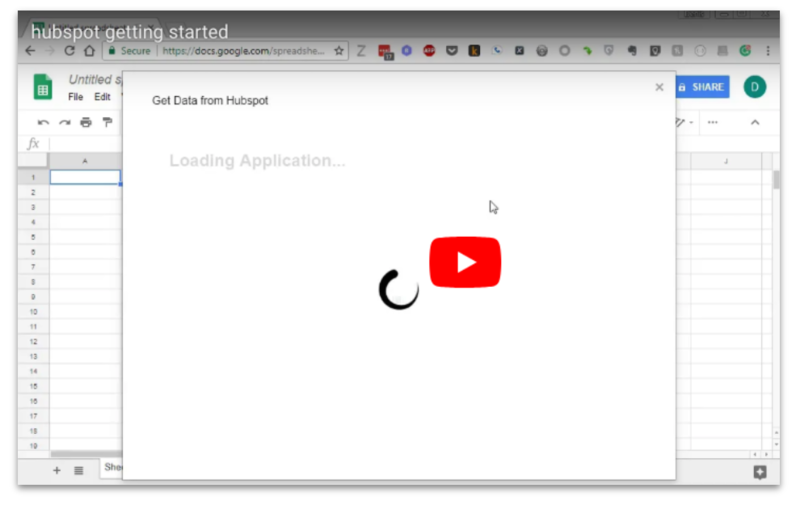 Tools like HubSpot. Sales is all about building relationships, but it can be difficult to form those relationships when a rep has to spend precious time completing menial tasks. In fact, a recent report from HubSpot Research found that reps spend up to a quarter of their day on tasks like writing emails and data entry. Software should exist to help minimize that time spent, not create extra steps. 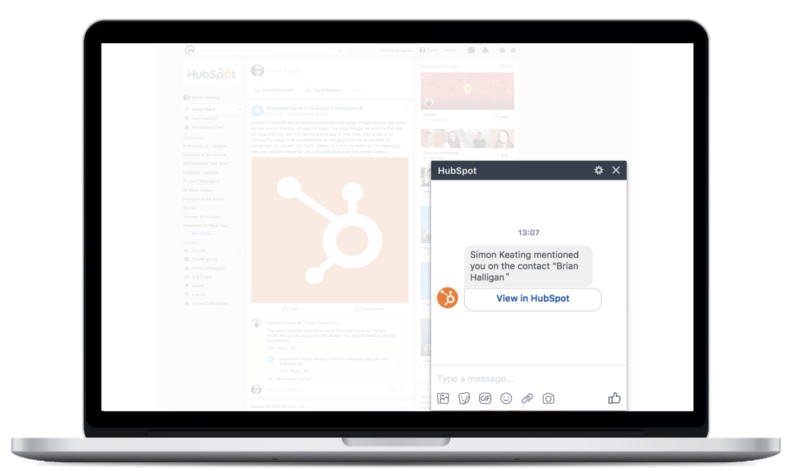 HubSpot's Slack integration aims to do just that. 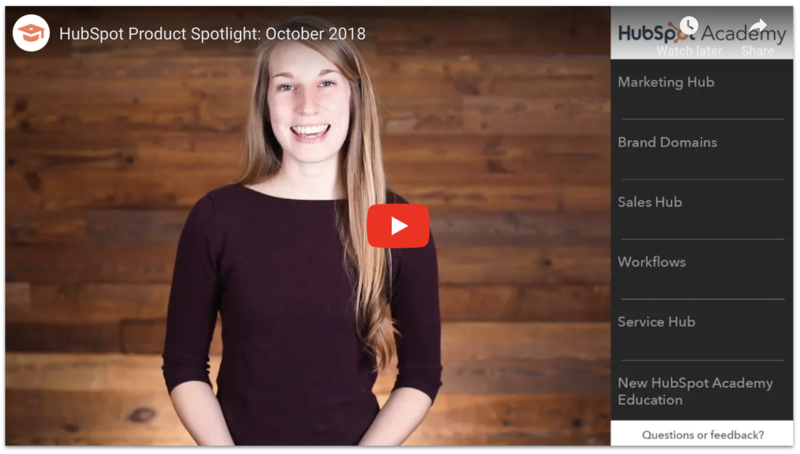 May brought along an explosion of product updates from HubSpot - including a brand new product line. 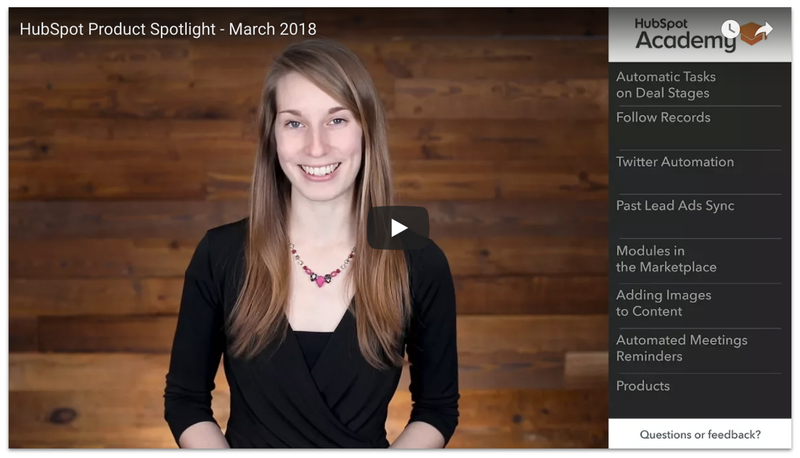 In this video, we'll walk you through a quick roundup of the most exciting HubSpot product updates so far this year. Workplace by Facebook is a space for teams to share ideas, brainstorm and achieve more together. 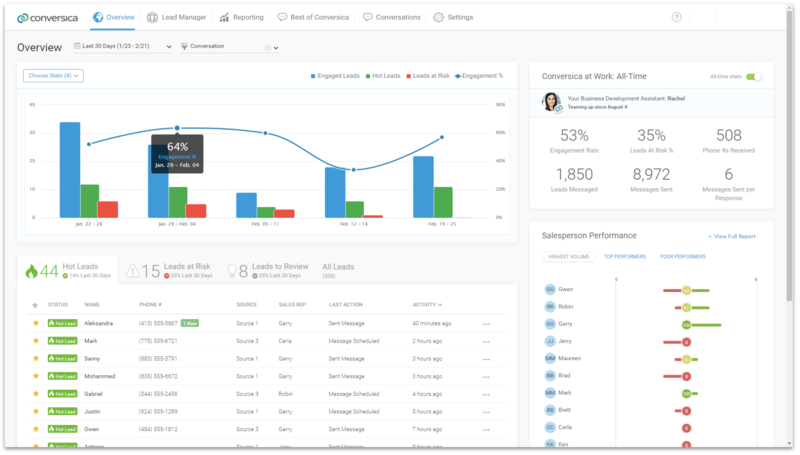 More than just a collaboration tool, Workplace connects organizations of every size to familiar features like chat and groups, as well as integrates with the business tools people use every day to get work done. Sales reps are busy. 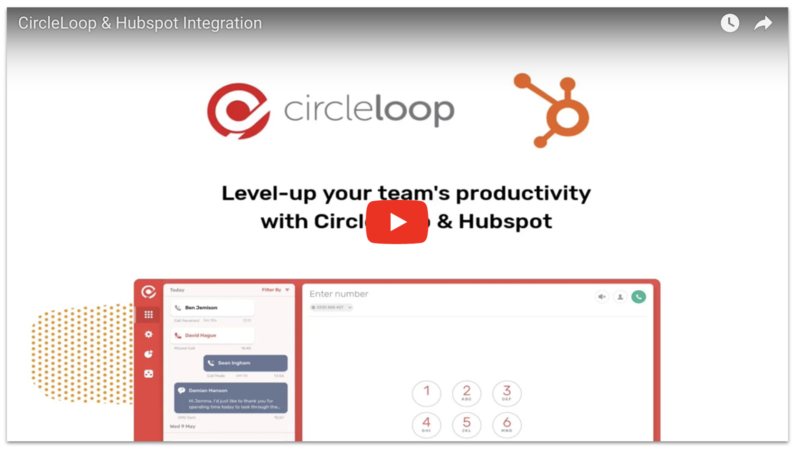 With the HubSpot integration for Workplace, reps don’t have to waste precious time switching between platforms. All of the information they need is delivered where they are, when they need it. 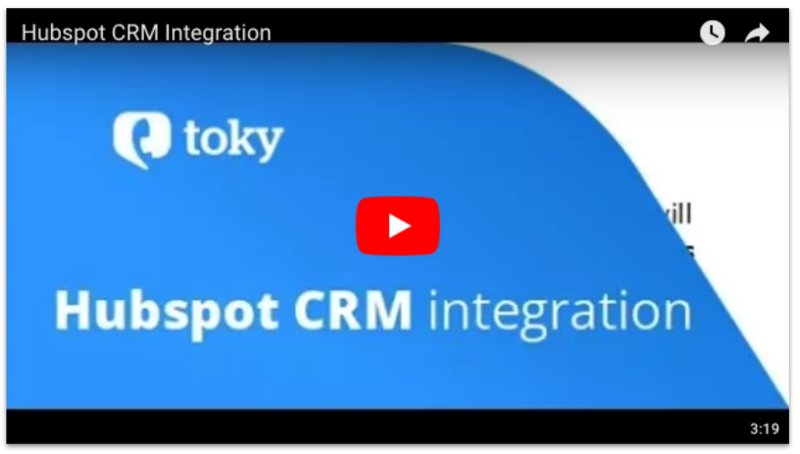 Toky is a product that enables you to receive, record, and track incoming and outgoing calls and text messages directly within your HubSpot CRM. 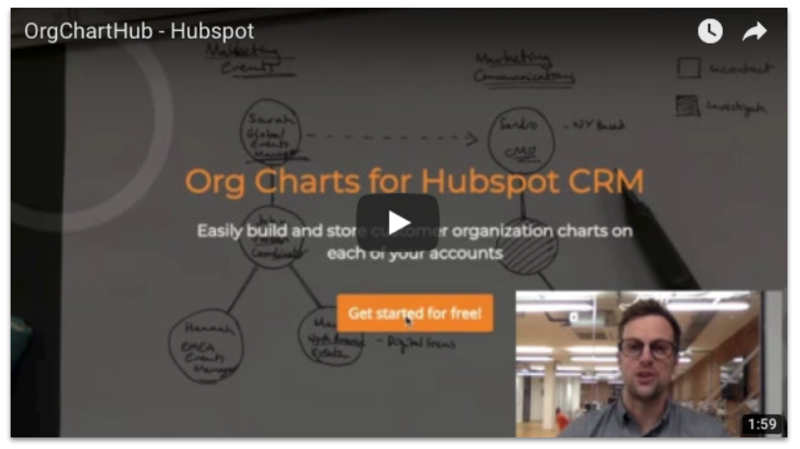 OrgChartHub is a product that enables you to build and store customer organization charts within your HubSpot CRM. 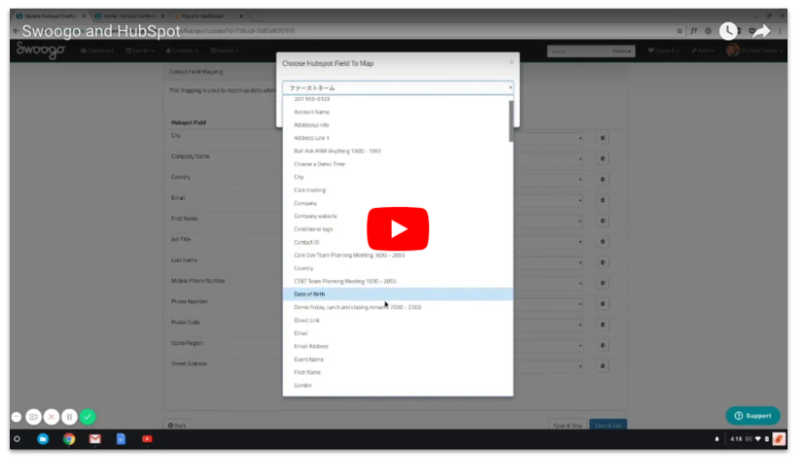 As a sales rep, the ability to automatically log and track emails in your HubSpot CRM brings valuable context to your contact records. This context is what empowers you to provide a more personal experience for your leads without spending any extra time or effort with manual work. 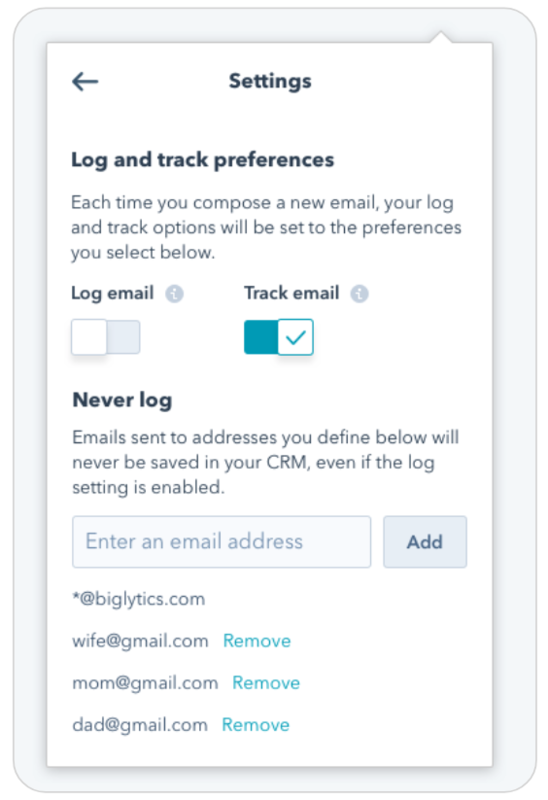 Today’s updates will empower you to customize and take control of your email log and track settings. 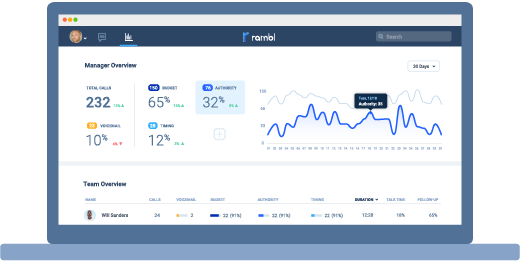 Rambl is a product that enables you to make calls and easily track results using the contact records from your HubSpot CRM. 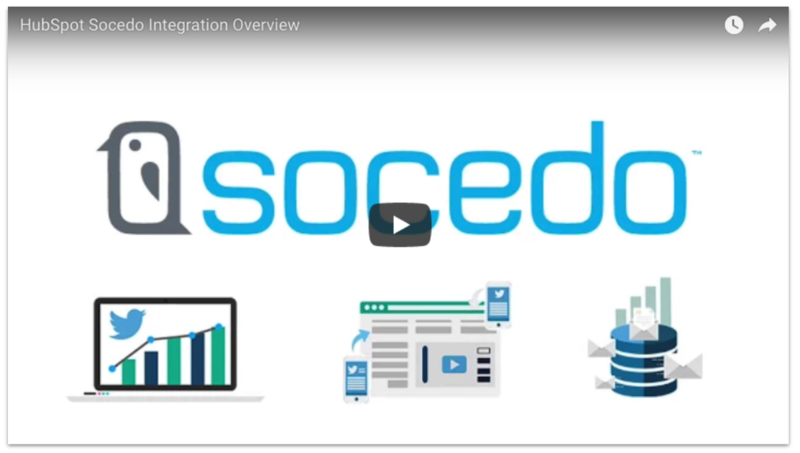 Socedo is a product that enables you to strategically generate leads on Twitter and automatically sync new corporate leads with your HubSpot CRM. 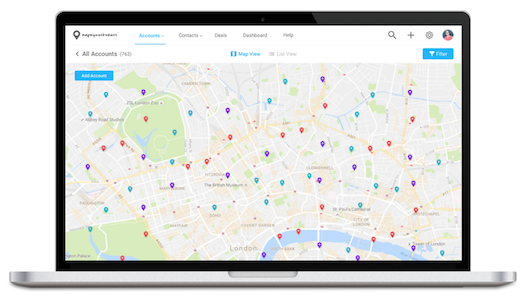 Map My Customers is a product that gives you a visual look into your data by mapping contacts, companies, or deals in your HubSpot CRM. 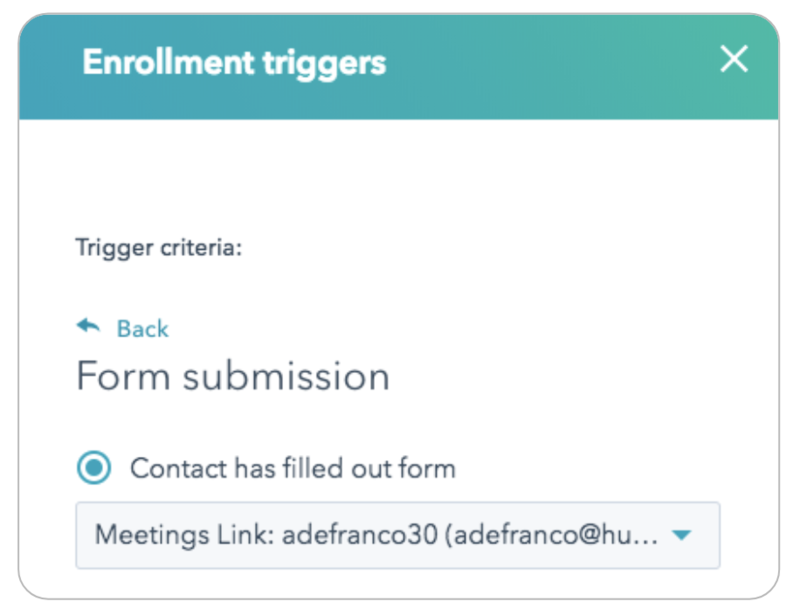 No, this isn't a HubSpot Connect announcement, but it might as well be - our own Meetings app is integrating more deeply with the HubSpot platform to create a more cohesive user experience for you and your team. Salesmsg is a product that enables you to send and receive texts from within HubSpot. 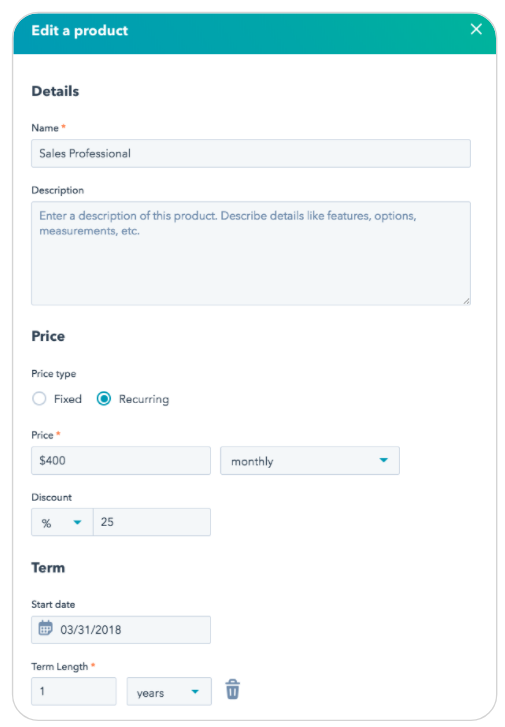 Now live in HubSpot are three new features designed to give you more control over the pricing packages you offer to your customers. That means you now have more flexibility to create a product library that fits your business. 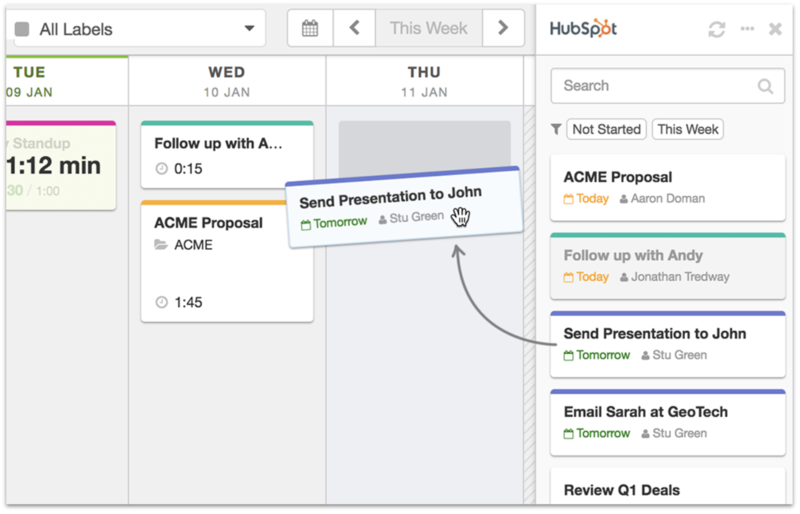 HourStack is a time management product that provides a visual solution for keeping your HubSpot tasks organized.